The Savannah Stopover festival has just announced the initial lineup for its 2019 edition, which happens in downtown venues in Savannah, GA from March 7-9. 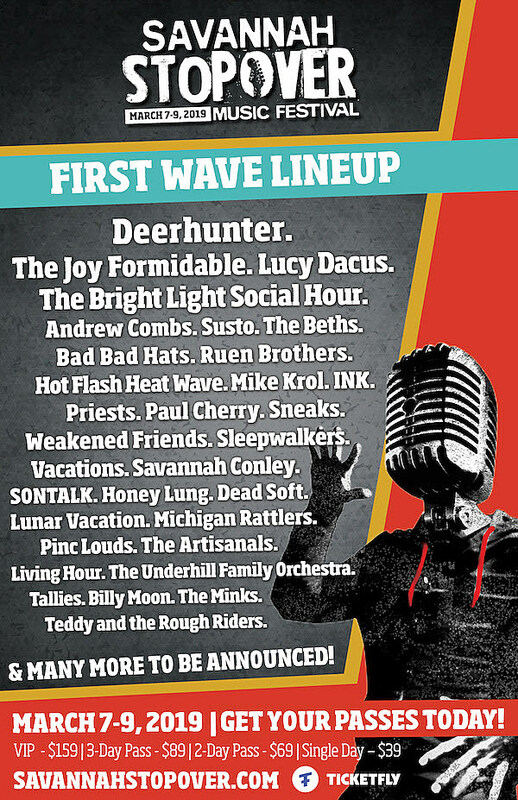 It includes, Deerhunter, The Joy Formidable, Lucy Dacus, The Beths, Priests, The Bright Light Social Hour, Mike Krol, Sneaks, and more. All announced acts are listed below. Now in its ninth year, Savannah Stopover happens right before SXSW, offering a more intimate, relaxed taste of what happens in Austin, but with longer sets, and all venues are located near each other in Savannah’s downtown district where you can drink on the street and take your beverage with you from venue to venue. Passes for the 2019 Savannah Stopover are on sale now.